I’m a make-up artist based in beautiful Tamarindo Beach, Guanacaste, Costa Rica. I’m a California native and in 2008 after many, many visits to Costa Rica, I made the permanent move here. 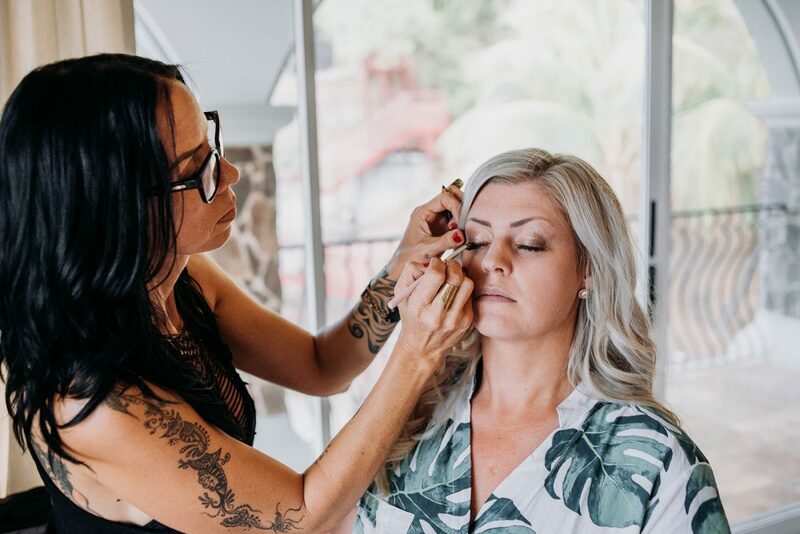 All the right doors opened after my arrival and I was lucky enough to connect with the best wedding planners in the area and soon after launched Maravilla Make-Up. For me, the coast of Costa Rica embodies the ideal place to live and work. The natural beauty here and the super laid back vibe inspire me on a daily basis to live life to the fullest. Working in the wedding industry here has been amazing because the majority of couples that choose this destination for their wedding get that about Costa Rica, its simplicity. I feel really blessed to do what I love to do. One of the best parts of my job is is that I get to spend those last unforgettable moments with the bride before she walks down the aisle, helping her achieve the look she loves. Surrounded by her closest friends and family, these are memories she will never forget and I feel very fortunate to be a part of that experience. My goal is to make the brides that I work with feel confident and gorgeous on the most special day of their life! I work primarily in the northern Guanacaste area, but am available for weddings located throughout Costa Rica.